This article was originally published by The Indian Express. India has a tremendous opportunity to increase its influence on the world stage. With the second largest population, 10th largest economy, and strategic position among G-20 countries, Prime Minister Narendra Modi can, if he chooses, speak articulately for billions of people struggling for a fair share of the world’s riches. At home, his nation continues to face significant challenges in the areas of education, health, sanitation, and inequality. This dichotomy of having a foot in two camps simultaneously — among the richest and poorest nations — provides the platform on which India can seek a much-improved global economic consensus. There is no doubt that some of India’s poverty problems are related to the amount of illicit money — so-called “black money” — that leaves the economy each year. 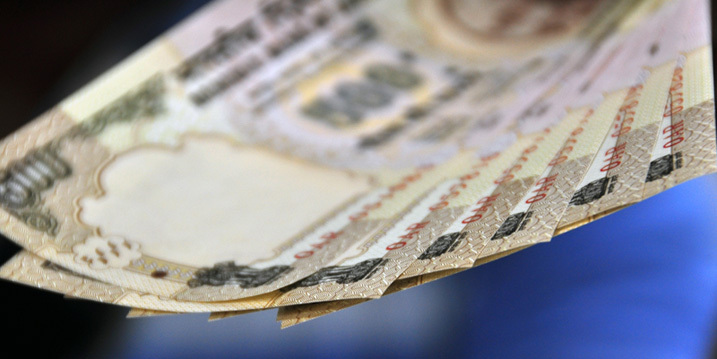 Recent analysis from Global Financial Integrity shows that in 2012 (the most recent year for which data is available) India’s illicit outflows were approximately $95 billion. To put this figure in perspective, in the same year, the combined total of foreign direct investment and foreign aid flowing into India was under $26 billion. More, the 2012 illicit flows figure is nine times higher than the country’s outflows in 2003. And, for the 10-year period ending 2012, the nation lost $440 billion in illicit capital. Modi’s campaign pledge to find and return India’s black money held in overseas accounts was a fine way to maintain focus on this critically important problem. He has taken positive steps to address the issue, including appointing a Special Investigation Team to seek the return of black money and providing the Supreme Court with the names of 627 people who may have committed massive tax evasion. The difficulty in retrieving money already lost is becoming readily apparent to Modi’s team of corrupt money hunters. Recently reported problems in getting Switzerland to provide information on Indian bank account holders is a prime example of the monumental task facing any nation trying to locate, freeze and retrieve illicit assets. This is a herculean task requiring time, money and expertise in international law and forensic accounting in order to navigate the byzantine regulations of various jurisdictions, which are created, in many instances, primarily to help depositors avoid detection. On this issue, the conundrum for Modi is how to continue working on a campaign promise that is difficult to fulfill, while also curtailing the ongoing outflow of black money, and at the same time increasing FDI. Fortunately, a window is open that will enable him to do just that, while also presenting a chance for him to take the reins of global leadership. This year, a confluence of events is occurring that will not be seen again for at least 15 years. In July, the world’s governments will meet in Addis Ababa to determine the outcome of the Financing for Development Conference (FfD) and in September, at the UN General Assembly, the Sustainable Development Goals (SDGs) will determine the path the global community takes to progress anti-poverty measures. These two events will lay out the roadmap and funding mechanism for development efforts until 2030, and are Modi’s chance to shine on the world stage. Foreign aid will continue to be a significant source of funding for poorer countries. But much more important to emerging markets is legitimate trade — trade that respects the letter and intent of laws and regulations governing VAT collections, customs duties, banking statutes and corporate taxation. This is not how the world works today. Instead, we currently look the other way as over-invoiced imports and under-invoiced exports (and vice versa) are used to shift hundreds of billions of dollars out of India and trillions of dollars out of the rest of the developing world. Slowing the amount of illicit money that exits economies through trade fraud can retain vast resources in countries for poverty alleviation and economic growth. This misinvoicing — the deliberate misrepresentation of the value of goods being shipped — is not a source of black money; it is the mechanism through which black money leaves a country. Recent data shows that, on average, close to 80 per cent of all cross-border illicit flows move through this method. Among Least Developed Countries, this is closer to 90 per cent. For India, it is — according to the nation’s official data filed with the International Monetary Fund — 99 per cent. The positive side of this challenge is that affordable, commercially available, trade databases would allow customs departments to determine quickly if goods are being misinvoiced. Giving customs officials the ability to identify and interdict misinvoiced trade in real time is a gamechanger for development efforts. What is needed is a global consensus that this needs to be done. Modi can be the catalyst to see that this happens. A 10-word phrase is being promoted for consideration in the upcoming FfD conference and the UN SDG discussions setting development targets for the next 15 years — “curtail illicit flows related to trade misinvoicing by 50 per cent”. This is a measurable and achievable goal, a practical solution to a pernicious problem. Baker is president of Global Financial Integrity, a Washington DC-based research and advisory organization working to curtail illicit financial flows. Cardamone is its managing director.